Claire Higgins’ [book] is driven by the question of how we moved from a humanitarian approach to policies of mandatory detention − including on remote islands − and boat turn-backs. Like now, the politicians of the time wanted to control entry. Unlike now, they also wanted to respect Australia’s obligations under international law. 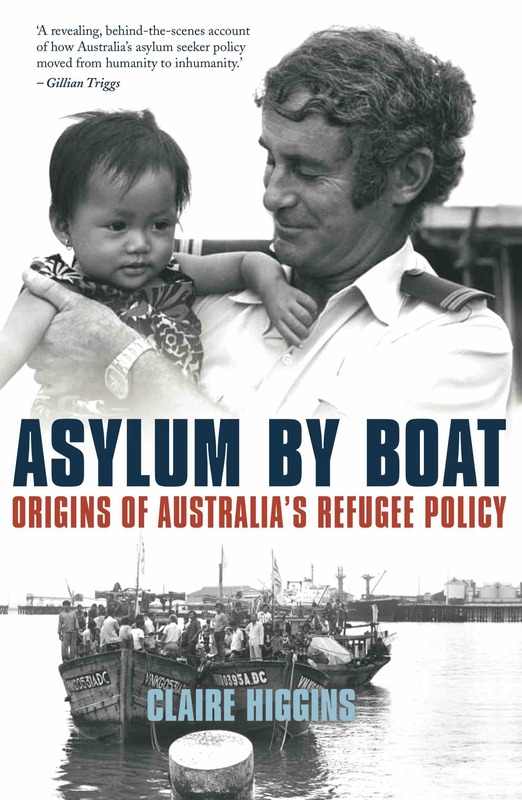 The book describes how Australia responded to 3000 asylum seekers who came here by boat between 1976 and 1990. The book details the sensitive initial response of the Fraser government to the new arrivals, at a time when policy and procedures were lacking. Dr Higgins’ research in archives, Cabinet papers, interviews and records of the United Nations High Commissioner for Refugees, shows that punitive policies that are in place today were considered at the time but not adopted. The author wrote a piece for Lowy Interpreter and another for Fairfax, which described Australia’s current asylum policy as ‘deportation by destitution’. A review note by Fiona Capp in Fairfax. Jeff Crisp in Inside Story. Publisher’s background material. The author interviewed. Australia’s harsh asylum policies impact not only on those individuals living onshore and in limbo, or held on Manus or Nauru [the author said in her Fairfax article]. They also have a deep and abiding impact on the nation’s international reputation, which matters.